Fusing digital technologies with visual and sonic innovation, the groundbreaking interactive installation, ACO Virtual allows you to conduct and even play along with the ACO. Imagine standing on stage during a live performance by the Australian Chamber Orchestra. From 1st to 30th August, the extraordinary installation will be open to the public at the eMerge Gallery at James Cook University’s Townsville Campus. Admission is free. ACO Virtual uses state-of-the-art video technology and features projections of 13 of the ACO’s acclaimed musicians in either 2D or 3D. 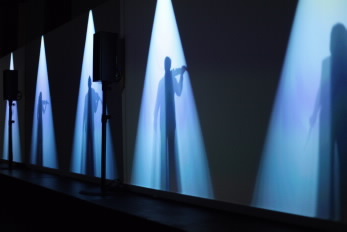 Audiences are surrounded, with the sound of each musician coming from the direction of their individual projections. A touch-screen “music stand” allows users to spotlight and listen to one musician, a section of instruments or their desired selection of players. Audiences essentially step ‘inside’ a concert and are immersed in a cinematic experience, surrounded by the musicians, and can manipulate what they hear and see, similar to a video game. The installation runs for 30 minutes and comprises music by Bach, Grieg, Smalley and Piazzolla, which is designed to maximise the opportunity for audience participation. 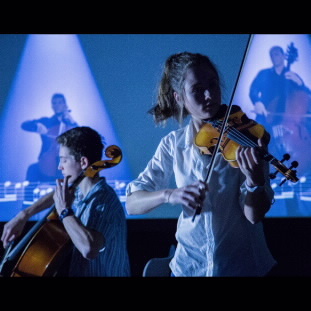 It delivers a unique and inspiring learning environment, giving people the opportunity to engage with – and learn from – world-class musicians, who they would not ordinarily have the chance to see performing on stage.